Glastonbury - Come rain or shine pair whatever your wearing with the wonderfully feminine Jaclyn Fixed bow bra and Ruched Knicker for a truly romantic ethereal festival look. 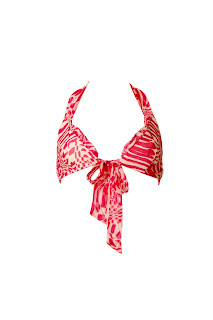 Notting Hill Carnival - We love the hugely comfy Farrah Halter bra with hot pink silk ties which will hang down your back. Team with a backless top or dress for festival chic. Labels: black silk lingerie, Festival, Glastonbury, Notting Hill Carnival, Pink Lingerie, Romantic Lingerie. Silk Bras.